Derby Academy students rise to the challenge of leadership. The transition to secondary school is a critical time, and we take pride in preparing our students for the next steps in their academic career. Athletics or arts? Boarding or day? Finding the best match for each student is of critical importance. Our secondary school counselors know our students well; beginning in Grade 7, we work with each family toward the goal of finding the best match for each student's strengths. We consider the whole child—academics, social, athletics and arts. Having provided our Upper Schoolers with leadership opportunities ranging from community service to public speaking and team-building, Derby students matriculate to some of the best schools in the country, extraordinarily well prepared for the next critical phase of their lives. Most students anticipate interviews with dread. They imagine hostile strangers grilling them with impossible questions about the Peloponnesian War. After one or two interviews, students will discover that admissions counselors are interested in discovering a student’s strengths, not in trapping them. They are professionals who know how to allay a student’s nervousness and apprehension. They’re interested in spontaneity, not in polished performances. The interview will focus on two areas – the student and the school. Students should be prepared to discuss their academic history, extracurricular activities and involvement, and personal attributes. They may be asked about a book they would recommend, their families, or their future plans. Students should also be prepared to discuss and explain why they are considering that particular institution. Consequently, a thorough review of the school’s literature is essential. There will also come the time when the interviewer will ask the student if s/he has any questions about the school. The student should be ready with questions that are not readily answered by the school’s literature. Parents who are courteous, prompt, thorough, pleasant, kind, respectful and honest can do a great deal to enhance their child’s application. We have included a list of questions students may be asked, as well as questions they may want to ask during a typical interview. The interviewing policy at each school varies. Whatever the interview policy is, plan well in advance (some schools’ fall interviews and tours are booked very early!) We also practice interviewing skills with students, both in class and in one-on-one meetings with students and their secondary school counselors. Make your requests for interviews and visits early in August or September. Boarding schools have a limited number of Saturdays dedicated to campus visits. Ask if there is an Admissions Open House you might attend if you are not certain that you will make a formal visit or application to a particular school. Use Derby’s school holidays to arrange visits, so as not to miss too many school days during the fall term – for example, most boarding schools remain open during Columbus Day and Veteran’s Day holidays. Finally, students should always write Thank You notes; therefore, the student should carefully record the correct spelling of their interviewer’s name, as well as that of the tour guides. 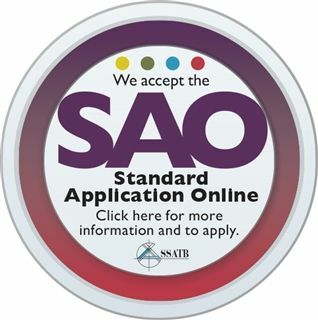 In addition to administration of the Secondary School Application Test, many secondary schools utilize SSAT's "SAO," which stands for standard application online. 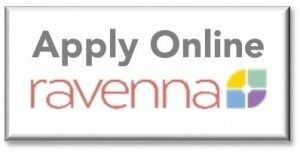 The SAO allows you to complete a single application to submit to many schools. A great resource for students interested in boarding schools.